The Duchess of Cambridge debuted this striking white and blue embroidered dress by Indian-born designer Naeem Khan for the visit to the iconic Taj Mahal. The cocktail dress is from Khan's Resort 2015 collection. 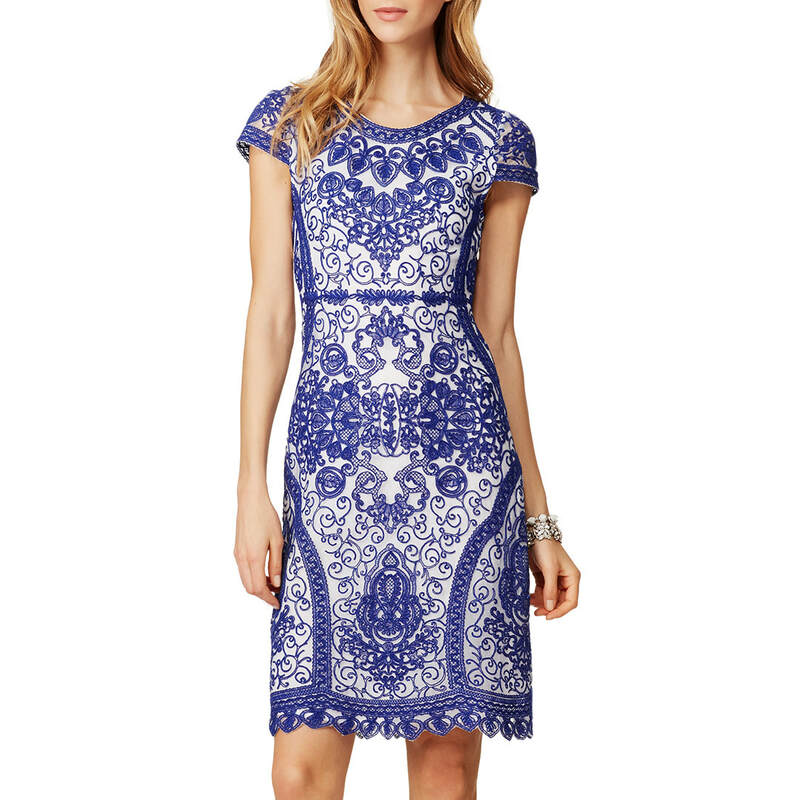 The white sheath dress features a contrasting azure blue Mexican embroidery. 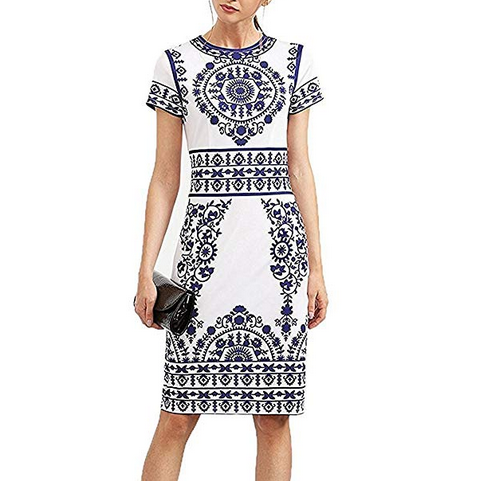 STYLE FILE: Naeem Khan White/Blue Embroidered Dress as seen on Kate Middleton, The Duchess of Cambridge.